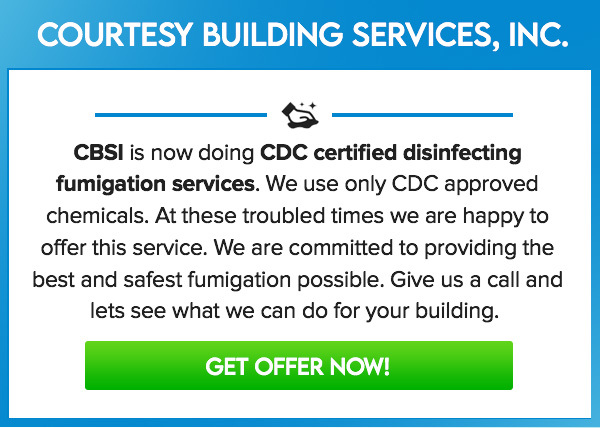 Courtesy Building Services, Inc. is proud of the certificates of recognition we have received through the years of being in the industry. Here is a short list of our recognitions and accolades. 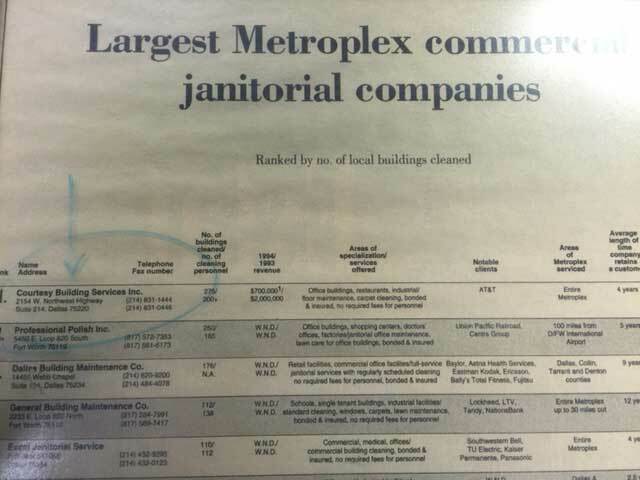 Courtesy Building Services, Inc. was featured in the Who’s Who in Business Service in Dallas Business Journal’s August 1, 1996 edition. 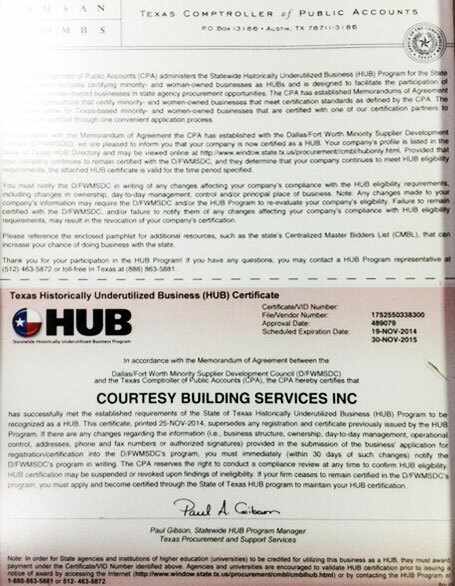 Courtesy Building Services, Inc. is a Member in Excellent Standing of The Better Business Bureau that serves Northeast Texas and Dallas. 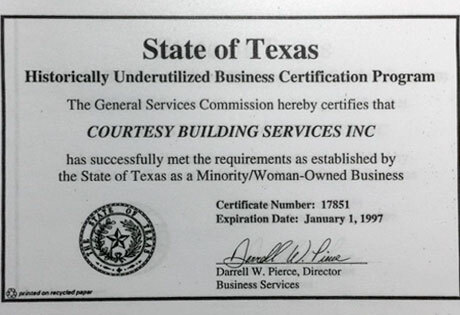 Courtesy Building Services, Inc. was a recipient of Certificate of Appreciation on 1st of June 1996 from Atty. 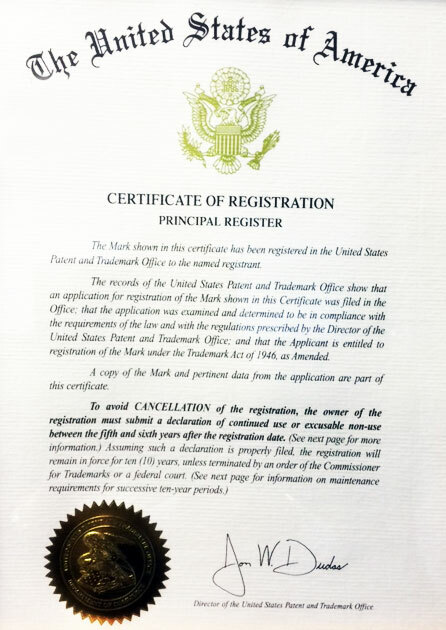 General Dan Morales for delivering an exceptional leadership and outstanding services in the State of Texas. 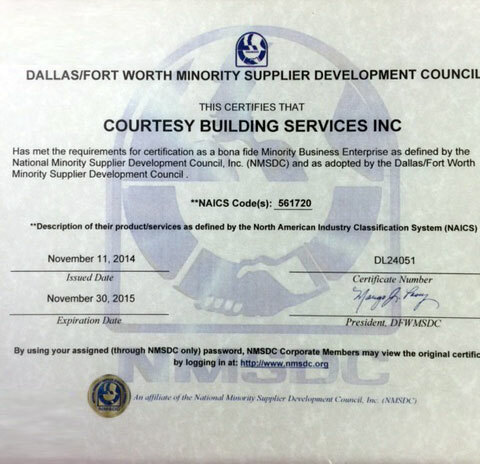 Courtesy Building Services, Inc. was a member of Dallas/Fort Worth Minority Business Development Council, Inc in the past. 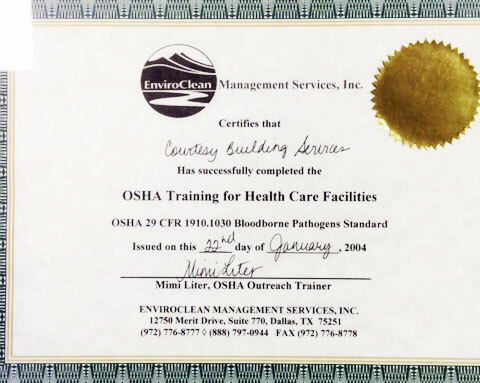 All of these recognitions made us a better and the most reputable cleaning and janitorial service provider. 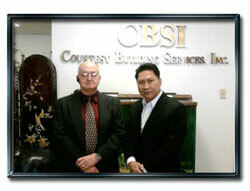 We only aim for nothing but excellence to provide you the finest service you deserve.